Brinjal is also known as eggplant, garden egg, melongene, and aubergine. it comes in various shapes and sizes from small to long, from shades of purple, white and green. It works effectively in the treatment of obesity, diabetes, acne, hypertension and hair loss. Brinjals are highly nutritious. Brinjal scientific name is Solanum Melongena and hails from Solanaceae family. It has amazing nutritional facts and health benefits. China, India, Turkey, Egypt, Iran, Japan and Italy are the largest producers. 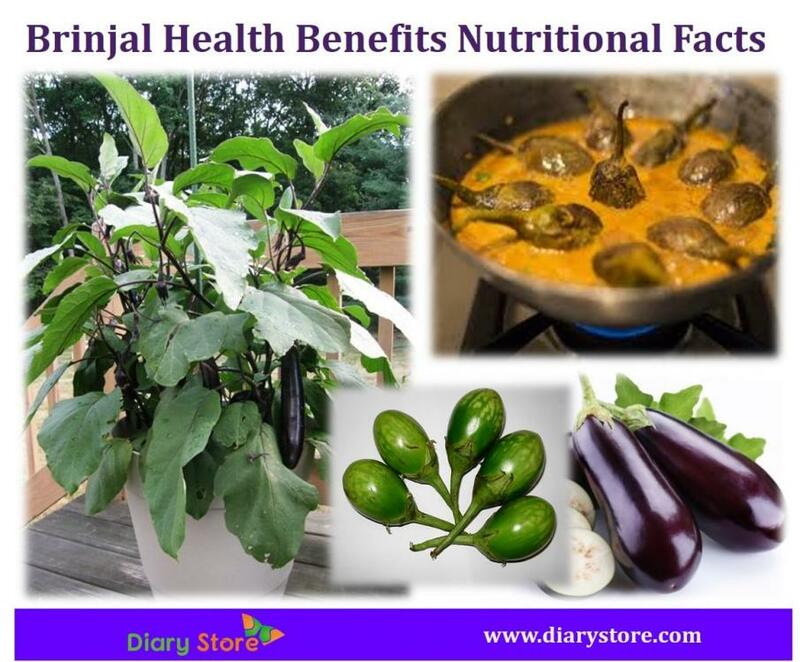 Brinjal has nutritional facts which entice the attention of nutritionists. One cup consists of Fiber (11%), Molybdenum (5.4%), Folate (4.5%), manganese (10%), vitamin K (3.5%), Copper (3.5%), Tryptophan (3.1%), vitamin B (63.5%), magnesium (2.8%) and Vitamin C (3%). 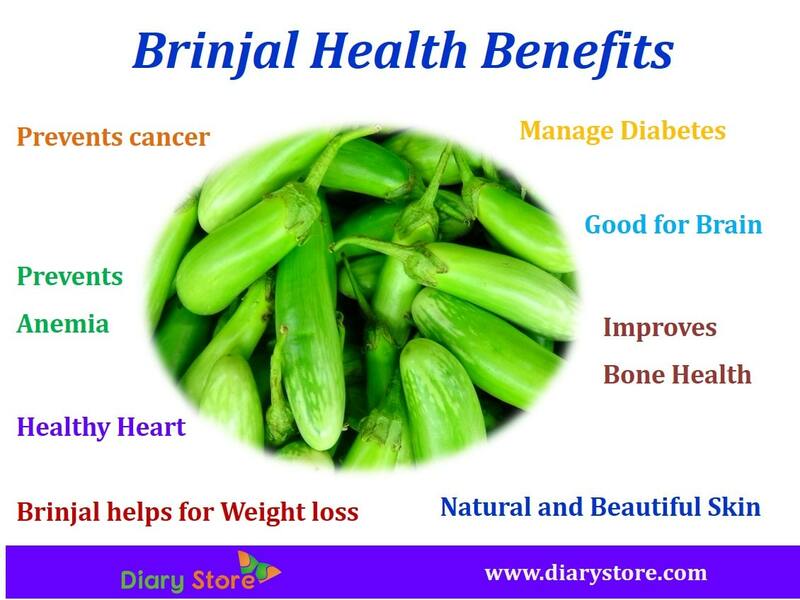 Brinjal has unbelievable health benefits. You should try and eat at least once a week. It helps to improve bone strength, helps to keep our brain healthy, supports to have smooth skin, lose body weight, control the major diseases like cancer, diabetes, heart failure, anemia. Brinjal contains low calories and is rich in fiber. Fiber helps make you feel full and prevent you from overeating. It really supports to get body weight with good body mass index. You can include eggplant in the daily cooking. Garden egg is a great source of antioxidants and fiber.Antioxidants help fight against cell damage by free radicals and keep you away from the risk of cancer.Fiber helps to remove toxins in digestive tract and prevents colon cancer. Eggplant is good for heart. Brinjal loaded with potassium, Vitamin B6, fiber, potassium and phytonutrients. Antioxidants helps prevent heart attack, strokes and keeps your arteries healthy. Eggplant contains high quantity of antioxidants which prevent damage by free radicals. Free radical damage causes the fine lines and wrinkles that appear on the face. Brinjal contains high amount of water content which flushes toxins and gives your skin healthy glow. Brinjals are wonderful source of phytonutrients which help fight against free radical activity and keep your body and brain safe from diseases and toxins and boost the memory. Eggplant has high amount of fiber and is low in soluble carbohydrates. Fiber helps to controlling blood sugar levels in the body. Brinjal is great food for those who suffer from diabetes. Experts suggest adding more brinjal in our daily food to reduce the sugar levels. Diabetes symptoms are regular urination, frequent hungry feeling, weakness, dizziness and other. This article discussed the diabetic types, prevention tips, Control treatment plans. Brinjal is loaded with potassium, iron and calcium which help in reducing the risk for osteoporosis and bone degradation. Potassium is a highly useful booster for bone health. Osteoporosis is chronic bone disease. It is recommended to use Brinjal in your regular recipes to reduce the risk from Osteoporosis. Brinjals are rich in copper and iron. Deficiency of iron causes depression, headaches, migraines, weakness and fatigue. These two minerals help to increase the red blood cells and prevent fatigue and stress. Brinjals can cause allergic reactions in some. Speak to your doctor before taking it in large amounts and pay attention to your body reactions.